Home technology and the home itself has become significantly more sophisticated and connected in the last couple of years. So, here are some of the best gadgets currently available. Alexa has zoomed right to the top of the “virtual assistant” field with plenty of good reasons. It’s capable of enhancing virtually any gadget that can be rigged to a smart home system – everything from robot vacuums to light bulbs. The Echo Dot solves one of the few problems inherent in the full-sized Echo: the price. The Echo Dot costs just $49 dollars, making it virtually painless to start networking your smart home devices. If you’re looking for better sound quality, keep in mind that the Dot can be hooked up (with Bluetooth or old-fashioned wires) to any speaker. We were already plenty impressed with the Ecobee3 thanks to solid features like a superb touchscreen control panel and an excellent remote temperature sensor. The latest upgrade to the design, the Ecobee4, still has all those great features as well as a very significant addition: It works as a fully-functional Alexa unit. This device has all the great capabilities of Amazon’s voice assistant, allowing you to issue commands, ask questions, and control other smart home devices without using an Echo or Echo Dot. Though the Amazon Echo with its Alexa assistant has jumped to the forefront of the smart home marketplace, it’s hardly the only game in town. Google’s competing device handles a lot of the same tricks, including controlling smart home devices and streaming music. The big selling point here is Google Home’s full integration with Google Assistant, letting you unlock all the resources of Google via voice control. Added perks include the ability to operate a Chromecast and a very attractive price ($129) that comes in below the Echo. Luxury water walls are a fantastic addition to your home and can really add that wow factor to space or room you want to showcase. These water walls also create a more relaxed appeal in the home space and are that something a little special that provides your home with a little pizazz. 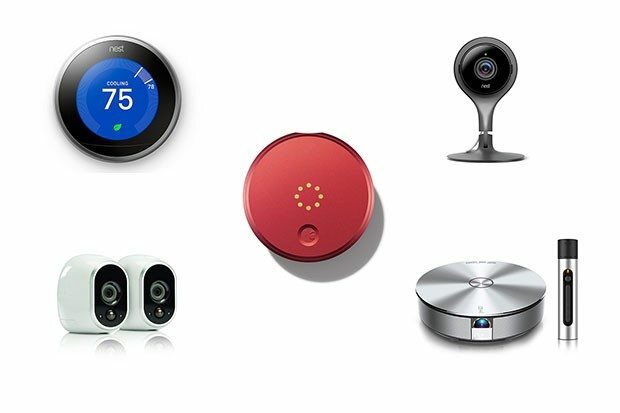 Enjoying the flexible control options of a smart home setup doesn’t necessarily mean buying all-new gadgets. You can turn any device into a smart device with the simple, affordable ISP5 plug. Controlled from a convenient smartphone app, iHome’s plug enables you to set schedules for turning plugs on and off. The ISP5 also works seamlessly with smart home control devices including Alexa, the Nest thermostat, and Wink. I have to admit smart bulbs don’t impress me that much. Flip the light switch by accident and all the “smart” goes away. Even I have to admit that the LiFX smart bulb is a mighty intelligent design. It offers pinpoint control of light temperature and color. It also works seamlessly with Alexa, and there’s something simply magical about changing your room’s lighting by voice command. The biggest point in the LiFX bulb’s favor to me is the fact that it still offers full functionality even without a hub. To further boost the appeal of its smart home devices, Samsung is putting a significant bonus inside the next edition of its SmartThings Hub: a mesh router. The Connect Home is planned to have 2×2 MIMO technology for better smart home performance throughout your network. There will also be a Pro version featuring a faster processor and a 4×4 antenna. Pricing and launch dates have not yet been announced. These gadgets should make your home a more enjoyable place to live and also provide you with an easier life. HI, This information is really helpful as well as informative. Thanks for sharing your knowledge with us. , It’s a very useful information to me !! keep posting such articles.